People all over the United States believe the flu season is here, but they know less about its severity and how far it can spread throughout the cities. 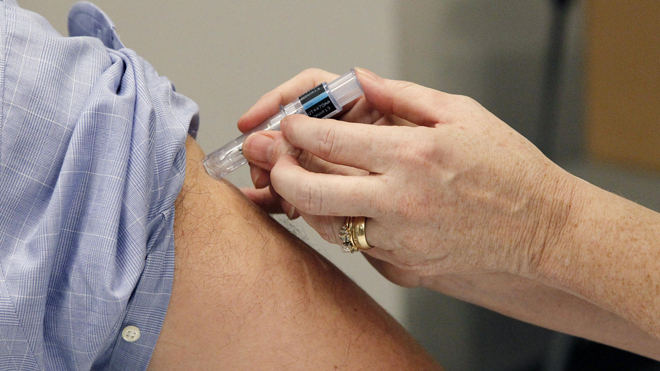 But the Centers for Disease Control and Prevention has cited the death of 17-year Shannon Zwanziger from Minnesota last month to underscore the severity of this season’s flu epidemic. Shannon was a very healthy girl and rarely got sick, but she suddenly came down with flu and was dead within a week. Gwen, her mother described her last hours: “Shortly before she died on Dec. 9, Shannon had worked her way – slowly – down the stairs at home by sitting and sliding down each step. She eventually made her way to the bathroom to take a bath. It appeared Shannon was technically alive, but she never regained consciousness. A mouth-to-mouth resuscitation effort administered by the mother never worked for her, and after Shannon was rushed to a local hospital before being transferred to a bigger hospital – she breathed her last even though the doctors had initially found a slight heartbeat. Health authorities have been quick to state that flu is never fatal in teens except of course they suffer from some underlying conditions like congestive heart failure among others – these underlying health concerns complicate their infections. Three children have died in Minnesota from potent strains of the flu virus, and seven more children hospitalized at Children’s Hospital in St. Paul. He warned this year’s flu strain is very dangerous and can cause life-threatening conditions in children. For any healthy child, the ability of the body to fight internal infections can be overcompensated when the body releases white blood cells that can in turn overwhelm the body and cause serious complications that can lead to death. About 90% of this year’s flu is called the H3N2 subtype or the Influenza A – normally circulated in pigs even though it can still infect people – affect children under 5 years of age and pregnant women as well as adults over 65 years of age. “Every year about a hundred children die from the flu,” said Dr. Richard Besser, ABC News chief health and medical editor. Although most people can experience mild illness that could go away without any medical attention or antiviral drugs, some of the symptoms associated with flu are sore throat, headaches, fatigue, stuffy or runny nose, diarrhea and vomiting, body aches, cough, and fever among others.